The episode starts with a boy woodcarving while father stokes the fire. The boy goes to get water when an alarm goes off. They both grab guns and start shooting. 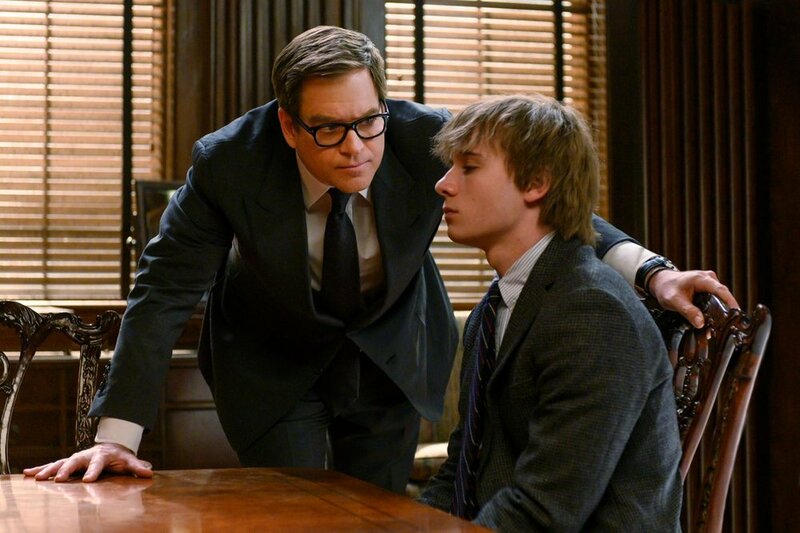 Bull has a friend that wants him to take a look at the boy’s case. A caseworker from Child Protective Service, escorted by the police came to the cabin. The father killed the caseworker. The officers killed the father. The boy, Lucas, shot one of the officers in the leg. He’s now being charged for murder. He also already confessed to the police because he didn’t know not to. He didn’t even what an attorney was until she explained it to him. She and Bull talk to him. He’s scared and he doesn’t understand what’s happening. Bull asks him where his mother is. Lucas says that she hung herself when he was little. 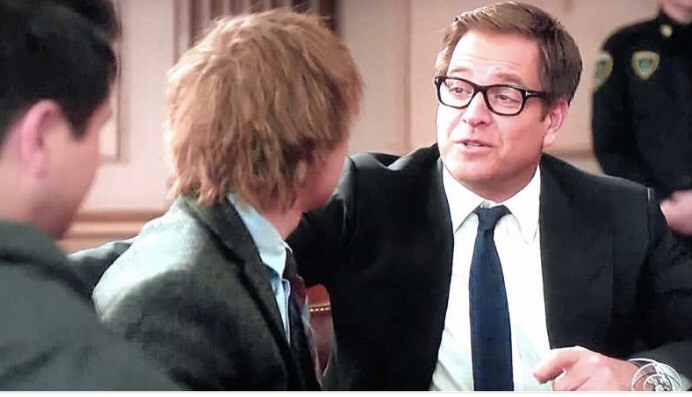 Bull explains that he wants to help, and Lucas kind of accepts? At least, to the best of his ability. Marisa gives the rest of the team the spiel. He can’t read, he barely speaks, and he already confessed to the police. Their case rests on persuasive coercion. They have to establish that he didn’t know what he was doing because he only did what his father told him to, like he’s been doing his whole life. The problem with that defense is that the burden is entirely on them, since they are agreeing that he shot the officer. Danny’s going to try to figure out who called Child Protective Services, because they have no witnesses otherwise. 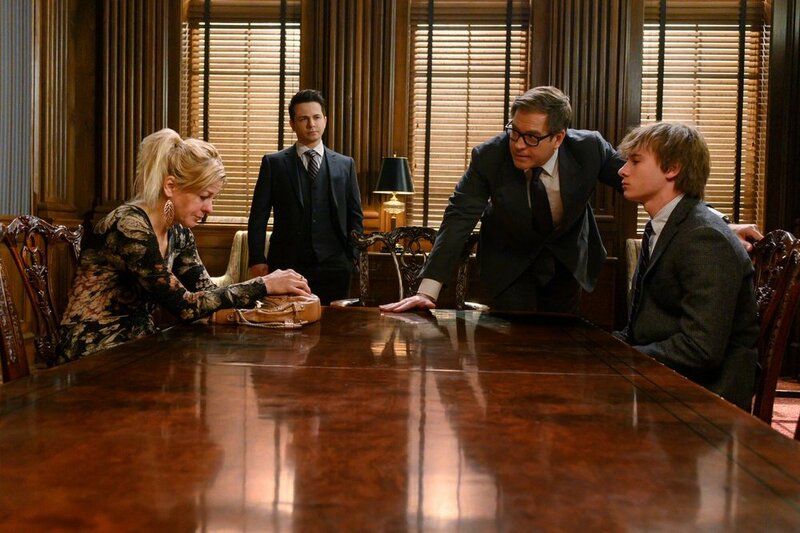 Bull puts Lucas in a suit and explains to him how to act in a courtroom. He just wants to go home. Their argument is that Lucas was part of a cult of two. They need people that can be persuaded to follow a leader. Marisa shows Benny and Bull the confession. Benny’s going to try and get it suppressed in the morning. Marisa and her husband talk. He was going through the mail and saw a bill from a fertility clinic. She explains that while she never wanted kids, she wanted a backup plan just in case she ever changed her mind. They both decide to think long and hard about what to do next. Bull explains to Lucas what they’re doing, but he doesn’t understand. Bull tells him to behave like he did the day before and he’ll do fine. He doesn’t. While Benny is explaining why the confession should be thrown out, Lucas has an outburst. He’s defending his father and his actions, and he has to be escorted out of the courtroom. The judge grants them the suppression but says it won’t matter if they can’t control their client. Bull gets a call from his friend, Dr. Staten, in the car. Lucas tried to hang himself. They talk while Lucas is sedated. Dr. Staten thinks that this will make the jury more sympathetic, Bull explains that the prosecution won’t spin it that way. They’ll make it look like an admission of guilt. They manage to suppress it as well, while Lucas is still unconscious. It’s nice for them to have a judge on their side every once in a while. Marisa runs into a kid and his mother while out getting food. Danny found the woman who called Child Protective Services but can’t get her to talk to them. Marisa talks to Taylor about kids. The prosecutor got the woman to talk to them, and she takes the stand. She’s a nurse. While Lucas’s father had pneumonia, she took him in. He lived with her for three weeks and went to church with her. The one time she took him to Sunday School, the lesson was about the Ten Commandments, specifically the fifth one: “Thou shall not kill.” This doesn’t look good for them, because it paints the picture that he knew enough to know what he was doing. Danny found something that might help. His mother is alive. When Bull and Danny find her, she tells them that her husband was paranoid, delusional, possessive, and abusive. She once threatened to leave with Lucas. He told her that if she ever did, he’d kill both of them. She left out the window that night. Lucas was three years old. They bring her to the courtroom so that Lucas can say whatever he needs to say in private. He agrees to keep his mouth shut. They put her on the stand, and she tells the jury everything. She’s no saint, as the prosecution points out, but she says that her ex-husband ruined her, and she has no doubt that he ruined Lucas too. This isn’t quite enough, but Bull has an idea. They have pictures of the cabin, the alarm system, and a shooting range. Benny doesn’t think showing the jury the shooting range is a good idea, and they would need a witness to present it in court. Bull asks them to look closer. Only Lucas’s fingerprints were found on the gun range and he’s a pretty good shot. Why’d he shoot the officer in the leg? It turns out that Sunday School did have an effect on him. He shot the officer in the leg because he didn’t want to kill him. He could have, but he didn’t. Bull makes a deal with the prosecutor, because he doesn’t think being let loose on the world is the best thing for Lucas. Lucas will live with the nurse until he’s 18 and he’ll talk to Dr. Staten once a week as a kind of probation. The judge agrees. He can go to school now. He can learn to read. Bull decides to throw him a party. Marisa and her husband talk about the case. Lucas lost the parental lottery and so did she. She’s afraid to be a parent because her parents were crap. He says that he’s scared too, but she can’t let her parents take this choice away from her. That kid was a phenomenal actor, and this was an interesting episode. 8/10.